It has been 11 years! 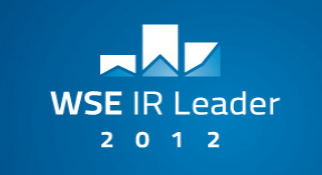 The initial public offering of Ronson Development’s shares at the Warsaw Stock Exchange took place on 5 November 2007. 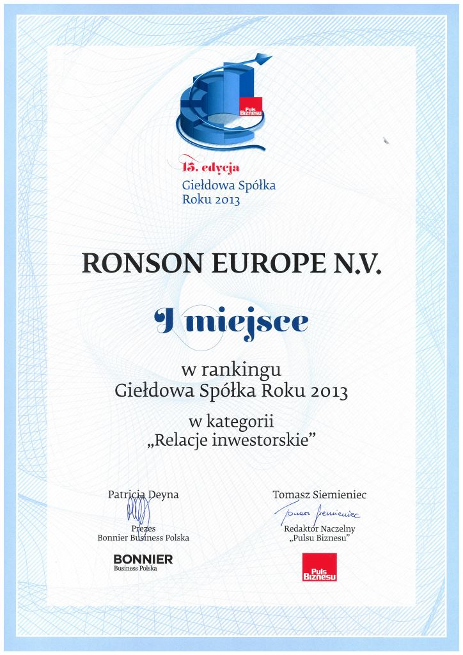 Ronson Europe N.V. has won the main prize of the 10th edition of the Golden Website of Issuer contest in the “Foreign Companies Listed on Warsaw Stock Exchange (including NewConnect)” category, organized by the Polish Association of Listed Companies (SEG). A total of 889 websites of listed companies were evaluated, in five categories. 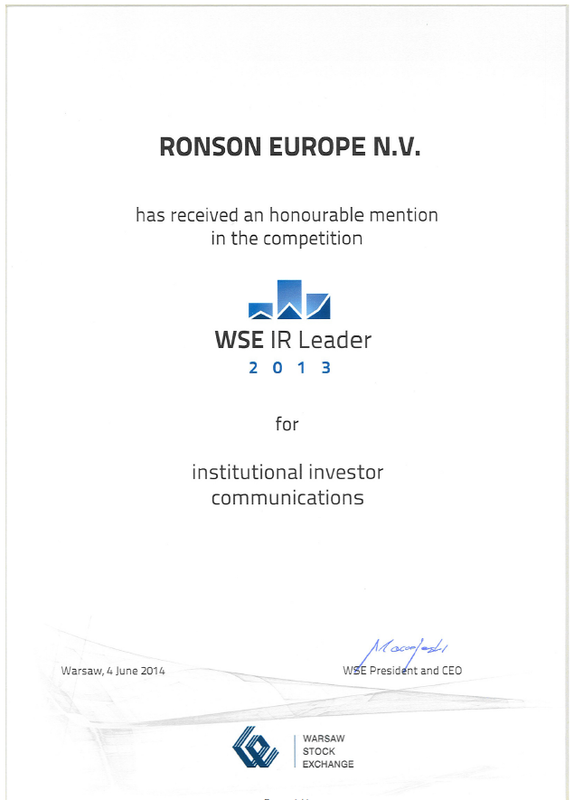 Ronson Europe N.V. has been distinguished for high quality relations with institutional investors the „Leader In Investor Relations on the Warsaw Stock Exchange 2013″ competition among foreign companies listed on the Warsaw Stock Exchange. The jury, composed of representatives of the Warsaw Stock Exchange (GPW) , Association of Listed Companies (SEG), Individual Investors’ Association (SII), Chamber of Fund and Asset Management (IZFiA) , Chamber of Commerce Retirement Associations (IGTE) and Giełda and Parkiet newspapers evaluated companies for their websites, communication with the media and quality of communication with investors and analysts. Ronson Europe N.V., represented at the Stock-Listed Company of the Year gala by member of the Management Board – Tomasz Łapiński, was in 2013 moved up within the “Investor Relations” category, and took first place ex aequo with PZU S.A. The company also held a very high – 15th position in the following categories: “Competences of the Management Board” and “Quality of products and services” (which was the best result among housing developers whose shares were traded on the Warsaw Stock Exchange), while in the main ranking the Company took a high – 21st place.